Reading this book will always give me the most magical feeling. This was my ninth read of it. And it never fail to make me happy. And heartbroken too. The Scorpio Races is such a huge favorite of mine. I know I will always love reading it. There is not a single thing about this book that I do not love. Which is the best feeling. There is so much I could say about this book. But I'm pretty sure I have already said it all, haha. I have shared about it for seven years now. And yet I will never tire of reading this book or writing about it, honestly. I need everyone to know about it too. To love Sean and Puck like I love them. To love it all the same way I do. Will try not to write too much about the book this time, because mostly I just want to share a little about how much I love it. And how much I need all of you to read it too, if you haven't yet. This book means so much to me. And so this re-read was once again perfection. I love that every time I read this book I end up loving it more than before. Which should not be possible, considering how much I already love it. 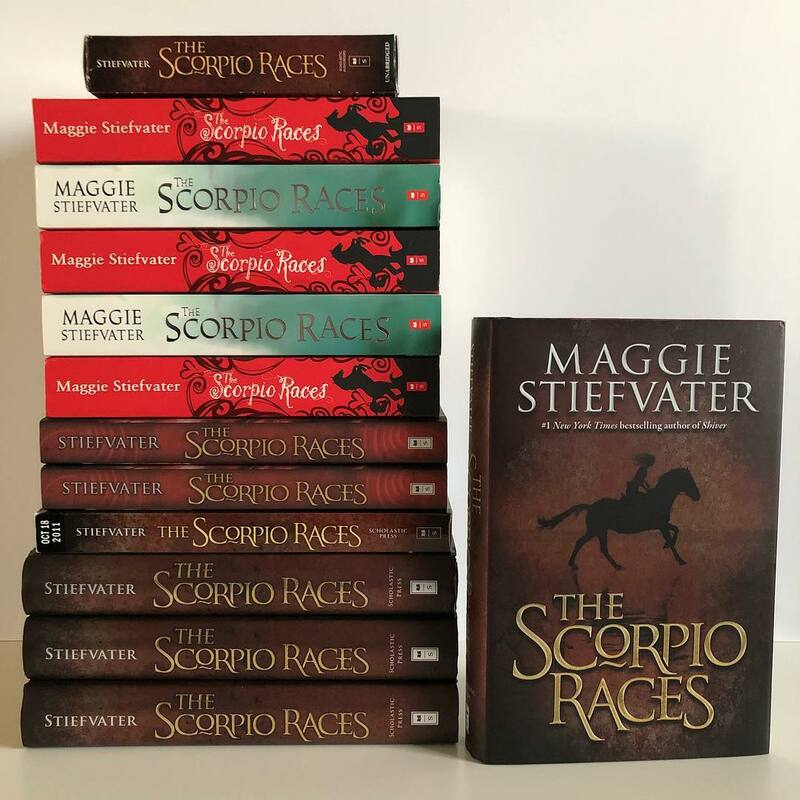 The Scorpio Races tells the story of an island. A small one, with not that many people living on it. Life is hard there, most of the time. Though those who love this island are happy. Like Puck and Sean. They have different lives, but I would say that they have the same heart, which is the most important. Reading about them makes me so so very happy. This is a book about horses. Yet not the normal kind. These horses are from the water. And they are huge and deadly. And the most amazing to read about. It is also a book about getting to know someone. About Puck getting to know the island and herself, and Sean too. About her learning more about what is left of her family, and how to deal with that. It is about Sean learning how to care for someone other than Corr. About him learning to fight for what he wants most of everything. And risk losing it all. Which breaks me. Everything about this book is perfection. And every time I read it, it kills me more. It's full of emotions and heartbreak and joy and I love every single moment of it. There is so much I could share about all of it. But I won't. Just that I love this book. So so very much. I love Puck. I love Finn, her brother. I am still angry at her other brother, Gabe. Hmph. I love the sisters they spend time with. It breaks my heart how they are living at the moment, a year after their parents died. I wish that people would have helped them. Hmph. I loved reading about Sean and Puck all over again. How they first meet. How they start spending time together. And start caring about each other. How they race each other with their horses. The very best thing. Their small touches still kills me. I wish there had been a bit more romance, but I'm so happy with what is there. Sigh. I ship them so very much. This whole book is perfection. The november cakes. The november sea. The water horses. The race. The whole Mutt thing still makes me the most angry. Ugh. But every part of this book thrills me. 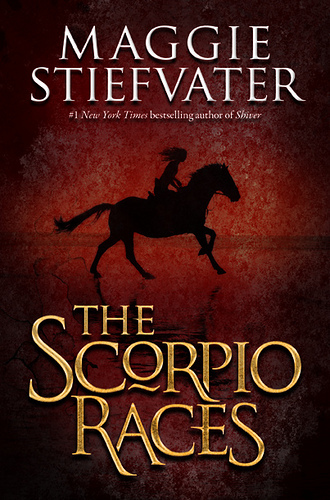 And I am so happy with how well written The Scorpio Races is. I just wish there was so much more after it. I wish it had not ended after four hundred pages. And that ending. My god. It is evil. Yet so hopeful. Completely perfect too. But yes. I very much need more. I need more of Sean and Puck and everything. I really hope there will be more. This book is simply stunning. In a way, it makes me feel alive. Which is the best feeling a book can give me. These characters are simply the best. I'll admit that I'm still waiting for Maggie to share that she's writing a direct sequel to The Scorpio Races. It is my biggest wish. To get to read more about Sean and Puck and Corr and Finn and Holly and everyone. I don't feel that their story is over. Yet I fear that Maggie will not write more about them. And I need her to. So very badly. I have hope, though. Hope that she will soon announce a sequel. I am crossing my fingers for it. And hoping that it will not be a companion book, haha. I very much need a direct sequel for it. Sigh. This book have been out for seven years now. And if you still have not read it, shame on you. Because it is the most amazing book with such stunning characters and the most precious story. 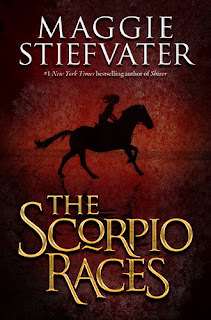 The Scorpio Races is not a book to be missed. I am so thrilled that I still love it as much as I did the first time I read it, seven years ago. This ninth read have been amazing. I needed this lovely book right now. I have not yet listened to the audiobook, but I will. I am sure I will love it too. This book brings me so much joy every single time. I loved this too and know just how you feel:) I've read it several times and such a coincidence, I pulled it up on my kindle to read again this weekend. I wish they would make it into a movie! This book has been on my list for ages. Still haven't read it yet. :) Glad to hear you love it so much every time you read it.